Companies Act 2013 has increased monetary penalties and imprisonment. The civil and criminal liabilities are not just on directors but includes “Officers in Default”. There is heightened corporate governance requirements even for startups and unlisted companies, even though there is no public money invested. While sections which require monetary penalties can be compounded before the statutory authorities, sections which details imprisonment cannot be compounded. 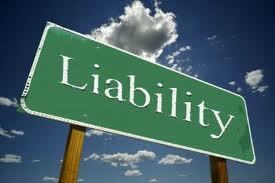 Entrepreneurs should also note that such penalties are not limited by the “limited liability” concept. We urge the entrepreneurs to give importance to corporate governance. “Officer in default” would broadly cover whole-time directors, Key Managerial Personnel (KMP) and such other directors as specified by the Board in the absence of KMP and every director who is aware of contravention of law by virtue of receipt of board proceedings or participation therein without raising any objection or where non-compliance has taken place with his consent or connivance. Below table is indicative of some of the sections which deal with imprisonment. Officer in default- Maximum imprisonment of 6 months or Fine- Not less than Rs. 1 lakh and may extend to Rs. 5 lakhs or with both. Officer in default- Maximum imprisonment of 3 years or Fine- Not less than Rs. 1 lakh and may extend to Rs. 3 lakhs or with both. Officer in default- Maximum imprisonment of 3 years or Fine- Not less than Rs. 2 lakh and may extend to Rs. 5 lakhs or with both. Officer in default- Maximum imprisonment of six months or Fine- Not less than Rs. 50,000 Thousand and may extend to Rs. 5 lakhs or with both. 118(12)- Minutes of proceedings of general meeting, meeting of Board of Directors and other meeting and resolutions passed by postal ballot. Officer in default- Maximum imprisonment of 1 year or Fine- Not less than Rs. 50,000 and may extend to Rs. 5 lakhs or with both. Officer in default- Maximum imprisonment of 3 years or Fine- Not less than Rs. 50,000 and may extend to Rs. 5 lakhs or with both. Director – Maximum imprisonment for 1 year or Fine- Not be less than Rs. 1 lakh and may extend to Rs. 5 lakhs or with both. 185(2)- Loan to directors, etc. Officer in default- Maximum imprisonment of 6 months or Fine- Not less than Rs. 5 lakhs and may extend to Rs. 25 lakhs or with both. Officer in default- Maximum imprisonment of 2 years or Fine- Not less than Rs. 25,000 and may extend to Rs. 1 lakh or with both. Such person in default- Minimum 1 year to Maximum 3 years imprisonment or Fine- Not less than Rs. 1 lakh and may extend to Rs. 5 lakhs. Officer in default- Maximum imprisonment of 1 years or Fine- Not less than Rs. 1 lakh and may extend to Rs. 3 lakhs or with both. Officer in default- Maximum imprisonment of six months or Fine- Not less than Rs. 25,000 and may extend to Rs. 1 lakh or with both. 182(4)- Prohibitions and restrictions regarding political contributions. Such person in default- Minimum 1 year imprisonment or Fine- Not less than Rs. 50,000 and may extend to Rs. 1 lakh or both. Such person also liable to fine which may extent to 3 times the amount involved. This entry was posted in Articles and tagged companies act, the companies act on April 16, 2014 by novojuris.